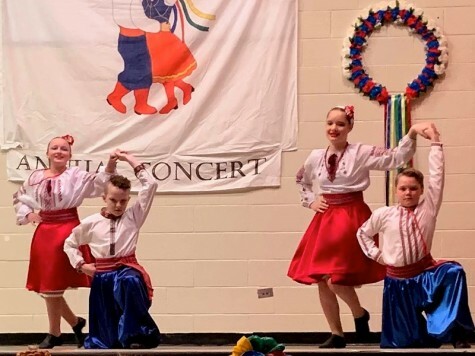 The Benito Vesselli Dancers performed for a full house on April 7th, 2019 as they highlighted their 37 years of dancing. 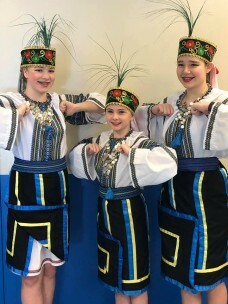 Different regions of the dance in the Ukraine, including Poltava, Bukovyna, Volyn and Transcarpathia were recognized for their authentic dance steps, choreography and costumes. After the singing of the Canadian and Ukrainian National Anthems, the afternoon kicked off with the traditional, “Pryvit”. Our dancers offer bread, along with salt and wheat, which represent a wish of prosperity and health to their guests. “Pryvit” signifies the many different regions and their traditions, welcoming all those who visit their homelands. Having the honor of Hospidar and Hospidenya were Ken & Patricia Frampton. Ken and Patricia are the grandparents of 4th year dancer, Megan and first year dancer, Trista Woytkiw. The girls had the honor of presenting the traditional offering to their grandparents signifying the welcome to all who joined us. Our Rhythm and Movement group of 3 & 4 year old dancers started the afternoon, and the talent didn’t stop! The music and the atmosphere kept everyone’s toes tapping. 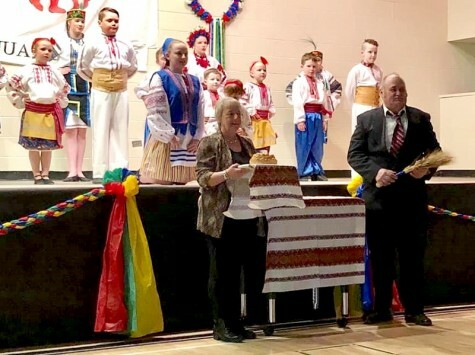 A special presentation for long time supporters Bill Macooh and Les Rolsky were handed out, along with guests performances by the Norquay Rosa Dance Club, from Norquay, SK. 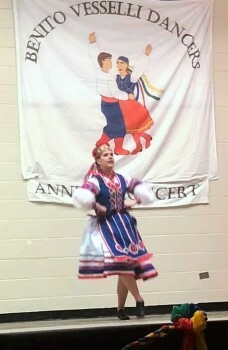 Everyone was treated to a wide variety of dainties and desserts, prepared by the families of the dancers. Visitors could also take part in the “Ukrainian Auction” and win some terrific prizes donated by the Vesselli Dance Families. 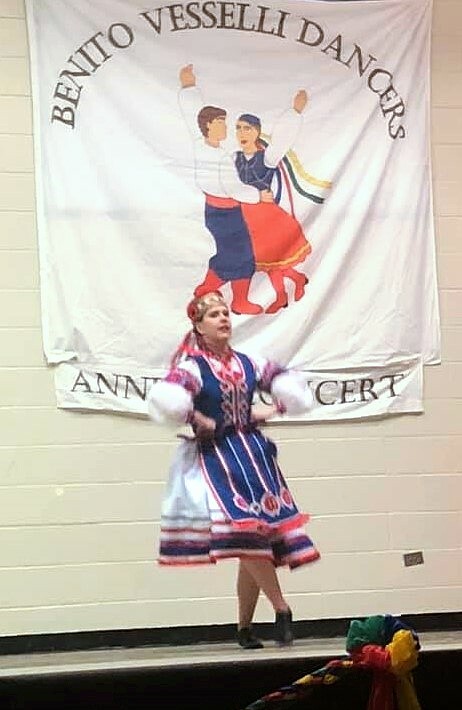 Certificates for years of achievement were handed out, with 2, 10 year milestone achievers and Graduating dancer, Jessica Hack, who performed a Volyn Solo as her tribute to the 14 years invested in Vesselli Dance. The afternoon rounded out with a club Hopak and wishing everyone safe travels. Vesselli wants to say a BIG Dyakuyu!to everyone who helped make 2018-2019 a terrific success, and thank everyone who came to the concert.